It is said that the number of overseas Filipino workers (OFW) increase because Filipinos could not find decent jobs with adequate income so they are forced to apply for overseas jobs to provide for their family. 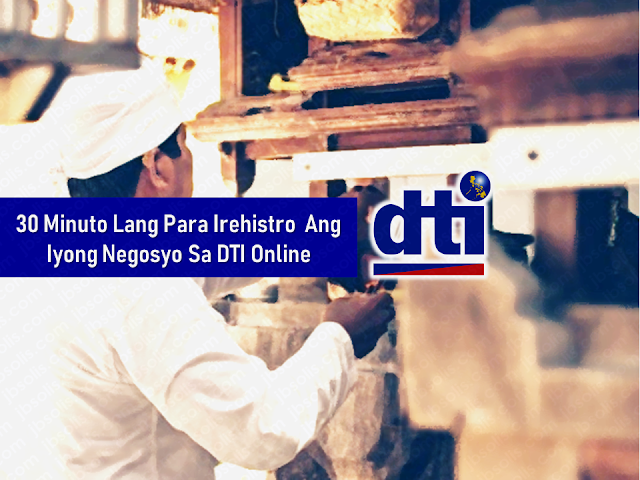 Some of the reasons pointed out by many is the age requirement but the Department of Labor and Employment (DOLE) recently prohibited age limit requirements in job hiring among companies. 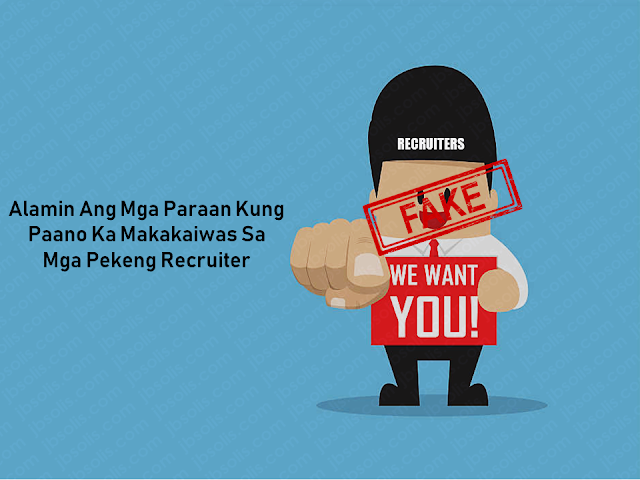 However, the law says the hiring of foreign workers are only applied to jobs that Filipinos could not accomplish. 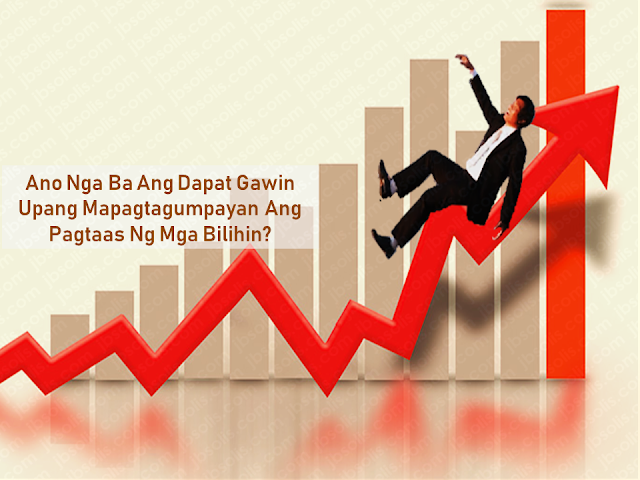 Is there really a problem among Filipinos to find jobs in the country or they are just being robbed of opportunities? 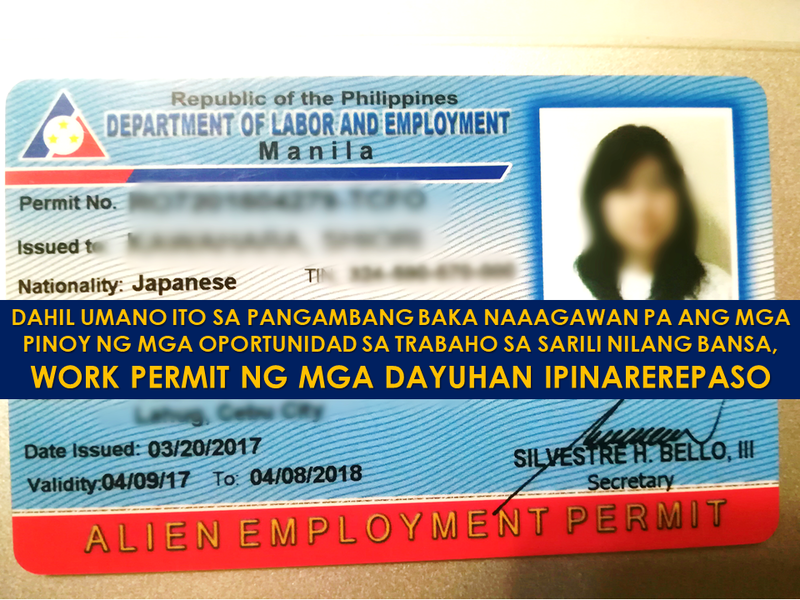 Issuance of alien employment permit is now suggested to be subjected to review in a doubt that Filipinos might be deprived of jobs on their own land due to a number of aliens working in the country. DOLE is now placing under review he permits issued to foreign workers in the Philippines according to Labor Secretary Silvestre Bello III. This is in the light of the possibility that local workers are being robbed of job opportunities in their own country. 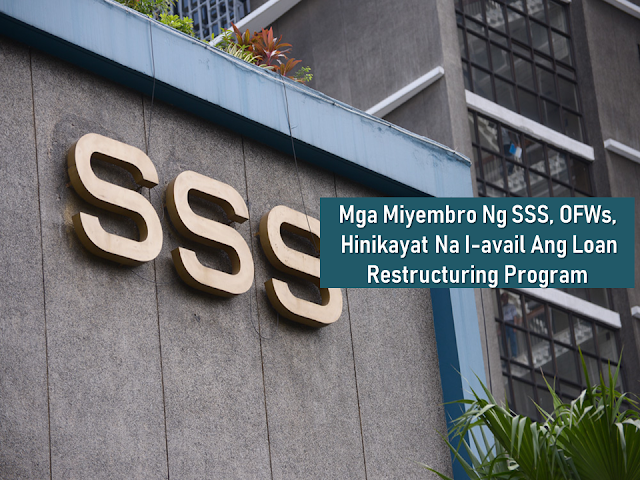 the Issue was raised during DOLE budget hearing last September 19. Labor Secretary Silvestre Bello III said that he already ordered all the employment permit issued to aliens and canceling of those who did not comply with standards set by DOLE. "Ang binibigyan lang namin ng permit to work ay iyong magtatrabaho ng isang klaseng trabaho na hindi kaya ng Pilipino," ani Bello. However, Bello clarified that aside from DOLE, there are also other entities who issue employment permits to the foreigners. 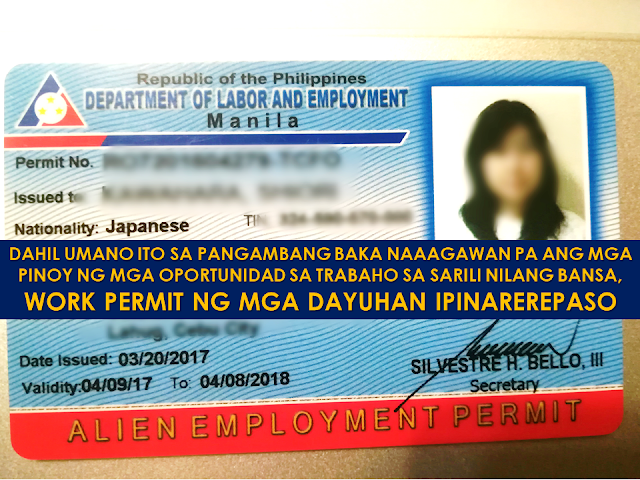 DOLE also admits the possibility that there are foreigners who are working in the country without work permits. About 115,000 of alien employment permit was released by DOLE since 2015. Among 51,980 of these were issued to Chinese. 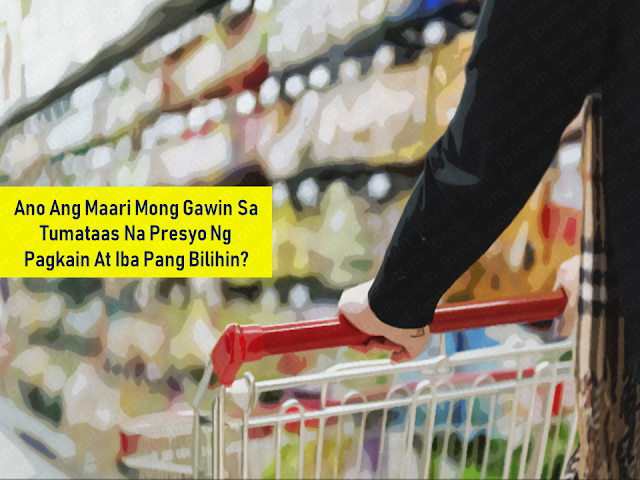 However, Sen. Franklin Drilon, in a Senate hearing said that in Metro Manila alone, there are 4,000 of them. 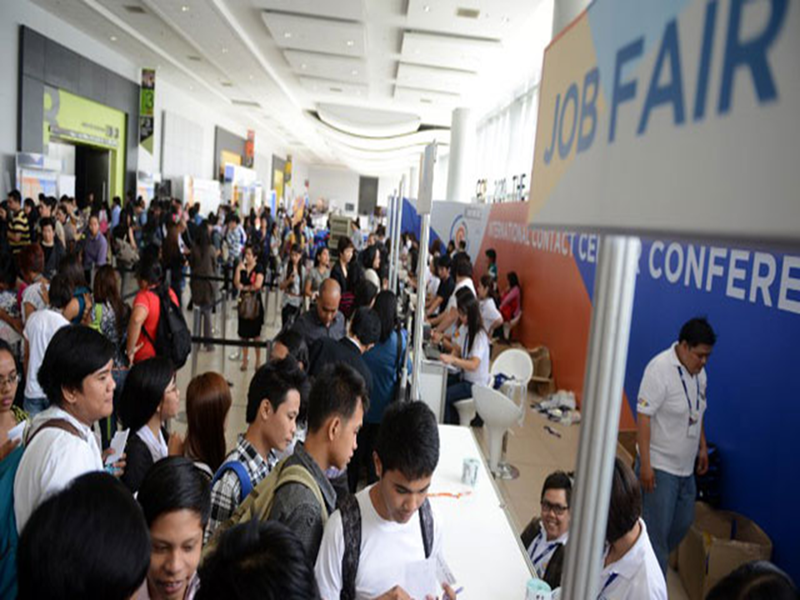 labor group Kilusang Mayo Uno (KMU) said that Filipinos should not be deprived of jobs in their own land citing a large number of unemployed citizens in the country struggling to land a job.